Standing at 5 feet, 2 inches tall, and no more than 120 pounds, he was dimunitive in physical stature, a giant in terms of his influence and impact in Filipino Martial Arts history. Venancio "Anciong" Bacon was born in 1912 in Carcar, Cebu. He started his training at the Labangon Fencing Club, learning the Corto Linear style from Lorenzo "Ensong" Saavedra, his only teacher. In 1933 the Doce Pares Club was established, Anciong Bacon was one of the first twenty-four members. In 1952, fed up with the personal bickering and internal politics of the Doce Pares Club, Bacon left, starting his own club. The newly formed club began training in the backyard of a watch shop owned by one of Bacon's students. The shop was located on a small side street in Colon, called Balintawak, which eventually became the name of the style. He was described as lightning fast and surgical with a stick. He had a rare talent to be able to employ varying force to his exact targets on his adversary's body, and exploiting their balance and coordination. Bacon was a veteran of a great many death matches in Cebu, but his greatest virtue was his constant desire to improve his art, diligently discovering techniques throughout the years, never ceasing his path. He taught his art to anyone who desired to learn it. The 1950's and 1960's saw the "Golden Age" of eskrima in Cebu - Eskrimadors from various camps tested each other's skills in all out challenges. These resulted in injuries and sometimes deaths. Some were under honorable circumstances, while others treacherous. Venancio Bacon was ambushed in the dark while walking to his home in Labangon. He killed his assailant in self defense, but he was incarcerated for murder, the judge considered that his martial skills were lethal weapons and should have been used with restraint. Venancio Bacon was paroled from prison in the mid 1970's. When he returned to Cebu he continued to check up on students, making sure the quality of Balintawak was up to his standards. He regularly attended training sessions led by Jose Villasin and Teofilo Velez. It was here that Bacon saw the next generation of Balintawak fighters, he was satisfied. 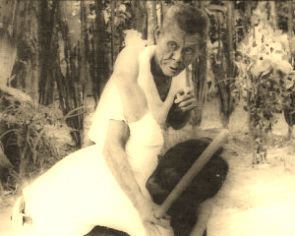 A few years after, Venancio Bacon died, leaving a legacy known around the world as BALINTAWAK.